If there’s one thing all kids seem to love…it’s DINOSAURS! I’ve been saying for years that Nashville really needs a natural history museum. A place where kids can see fragments of the giant beasts that once walked the Earth. 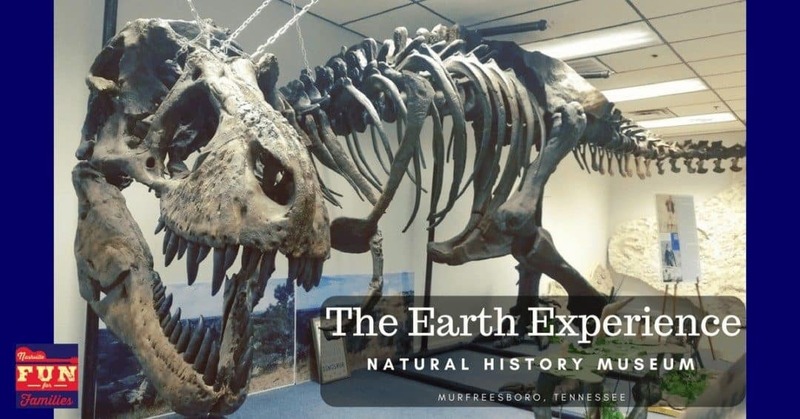 What a pleasant surprise to find out about the Earth Experience Natural History Museum, located just 40 minutes east of Nashville, in Murfreesboro! This museum is tucked away in a quiet, warehouse district located just off the main road. 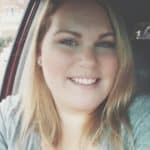 You might not ever know it’s there (hello…me!) if you hadn’t heard about it from someone else. Despite being in a warehouse, the signage out front made it very easy to find and we had no problem getting there with the GPS. Since there are no windows peeking into the museum, we didn’t really know what to expect as we walked up. As soon as we walked inside…oh my gosh, you guys! What…a…surprise! We were greeted with a beautiful gift shop and a clean, well organized lobby. The sweet lady working the front counter greeted us as soon as we came in and was super helpful in answering our questions. Fossils, Minerals, Gems and More! 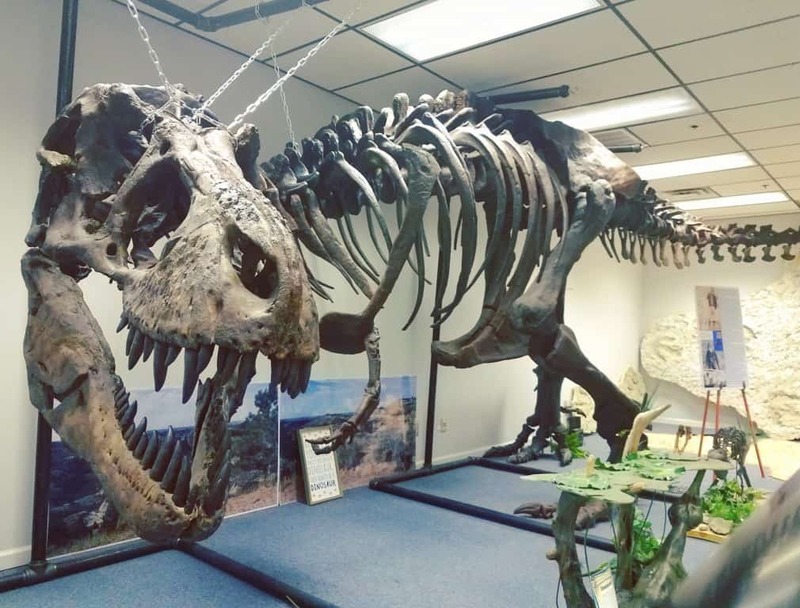 In addition to the fossils and other artifacts, there is an entire room dedicated to minerals and gems of all kinds! We were surprised to find that many of them were actually found right here in Tennessee. There was an area set up to see how certain types of rocks respond to black light, which was something I had never seen before. Also in that room you’ll find a really cool hands on interactive that uses a projector and a sand box to show kids how water flows down a hillside during a rainstorm and forms things like rivers and lakes. Kids can move the sand around with their hands and the projector responds in real time. It was AWESOME! 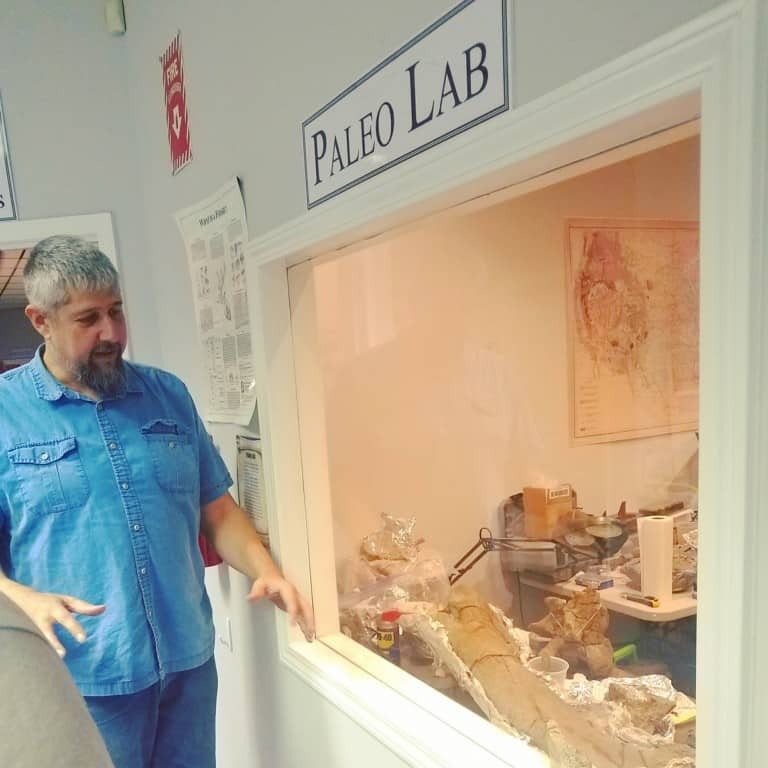 It’s interesting to note, that unlike your typical museum, this one also contains a working Paleontology Lab, which is viewable to guests. Looking in, you’ll be able to see all of the projects currently in process. You’ll see things like fossils being carefully cleaned, molds being made, casts being poured, etc. Very cool stuff if you have a budding Paleontologist in your life! Another great feature of the museum is their hang out room for little ones. If you get halfway through the tour and feel like your kiddo needs a little play break, you can slip into the play room for some fun! The play room has dinosaur toys, a kids table and chairs, books and a TV. They’ve recently added a Junior Museum Workshop for kids of all ages on the last Saturday of each month.The hour long workshops will take place from 11am-4pm, with the last class starting at 3pm. The cost is only $10/child, and projects will be adjusted based on age/skill level. Also offered at the museum are jewelry making workshops for older kids and adults! These classes are registration-only. I think this would make a really, really fun girl’s night out! Gather a group of your closest girlfriends, call the museum, and set up a class and go have a blast making one of a kind jewelry. Ok…remember that surprise I told you about a few paragraphs up? You ready for this?? CHECK…IT…OUT! A full size Tyrannosaurus Rex! 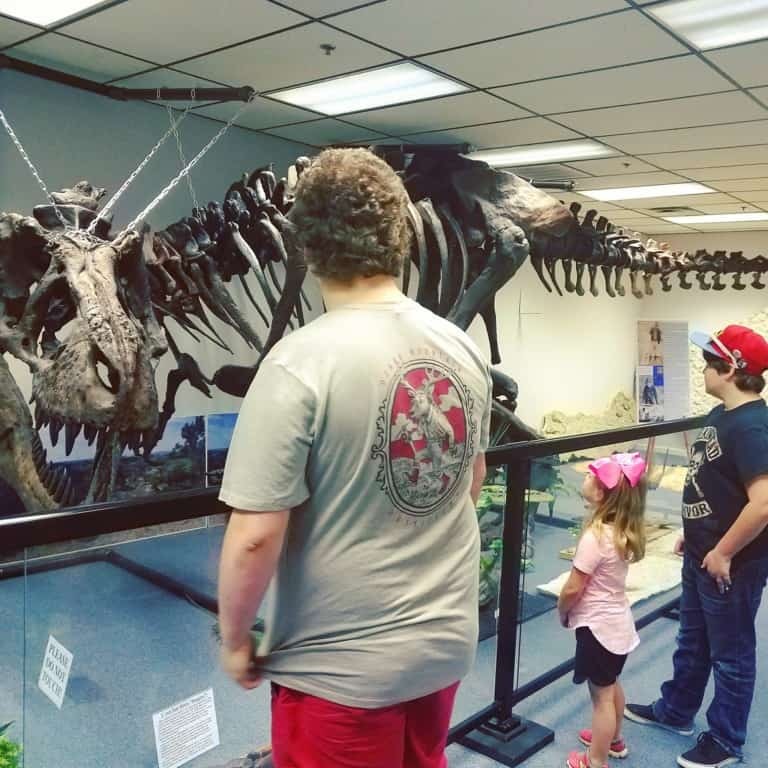 Standing almost as tall as the ceiling and 38 feet long, my kids were in awe at the size of this massive creature. 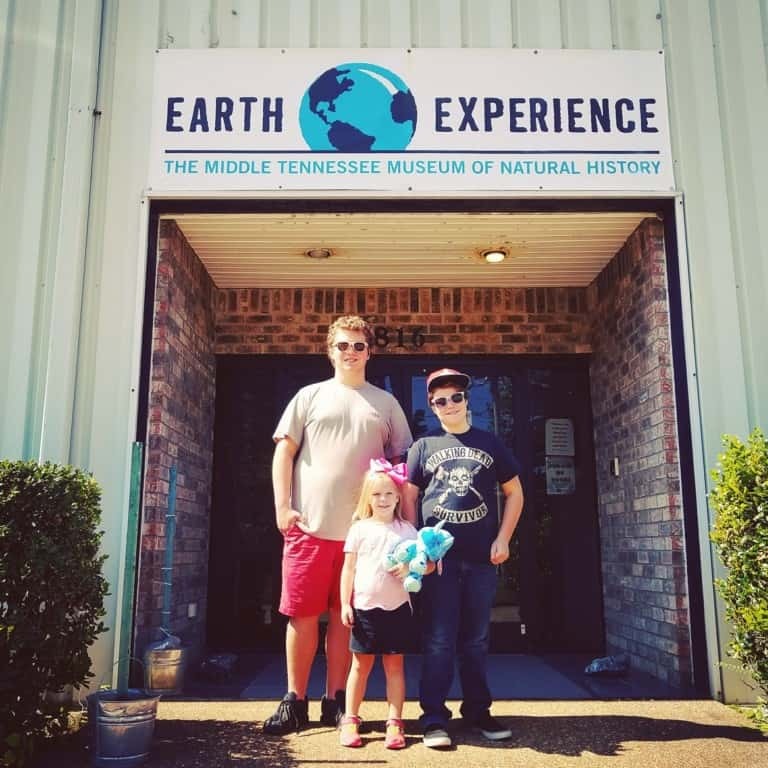 What a fun way to wrap up our visit to the Earth Experience Museum! Be sure to check it out soon with your whole family. You won’t regret it! One last thing…while you’re there, be sure to check out the gift shop. In all honesty, our family usually tries to skip this part of visiting museums because the goods are often marked up and sometimes pretty junky. Such is not the case at the Earth Experience Museum! My daughter picked out an adorable stuffed Triceratops and my middle son picked out a T-Rex fossil kit. They couldn’t wait to get home and unearth the plastic T-Rex bones and put the model together. It looked just like the huge one they had just seen at the museum, so it was a fun addition to our day!